This is one of my Fav Layouts. I think the original idea came from a Page Map. I love the clash of colors and would like to reproduce this layout again with a different color wave. 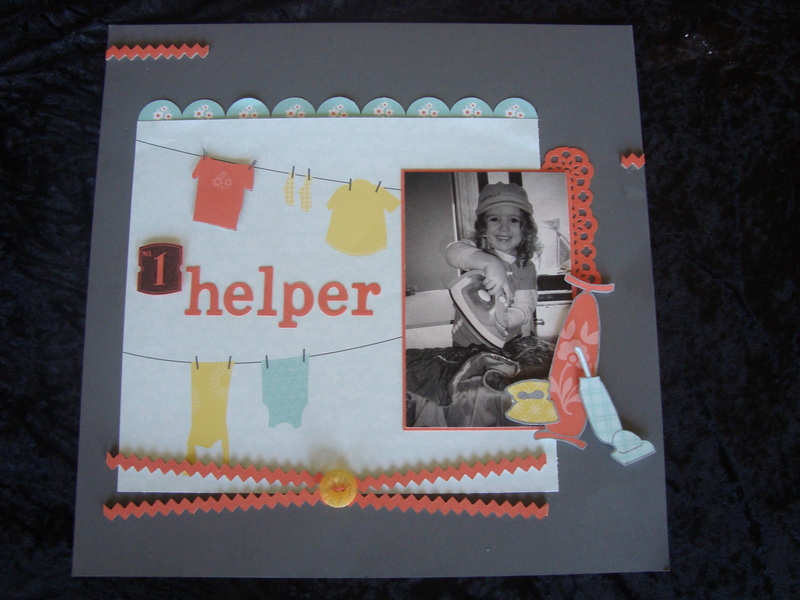 Using my paper punches, the Big Shot and Circle Scissor helps to make the design elements of this page quick and easy. 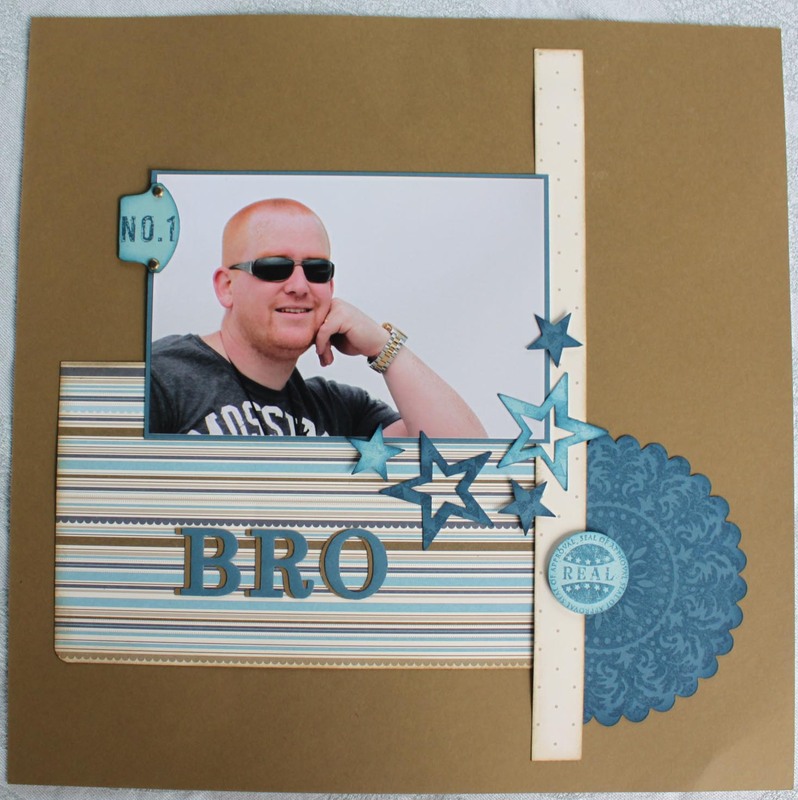 Stamping on the background page creates another dimension to this LO. AND of course my cute niece is the best subject ever. 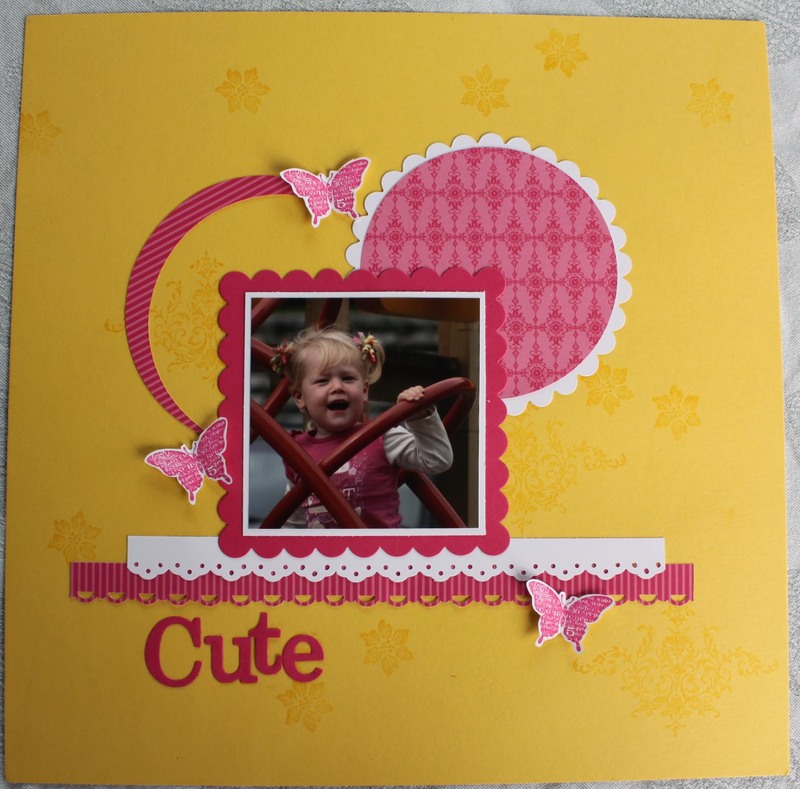 This is another of the Layouts I presented at the Stampin’ Up! Big Day Out in Henderson. I love the Domestic Goddess papers and also the Multipurpose Adhesive Sheets which I used with the On Board sheets to make my own chipboard embellishments. Because I love scrapbooking so much, I look at my sentiment stamps and think about how I can use them on my LOs. I’ve inked the edges of all the papers to create dimension and stop it from looking so flat, this is one of my fav techniques. 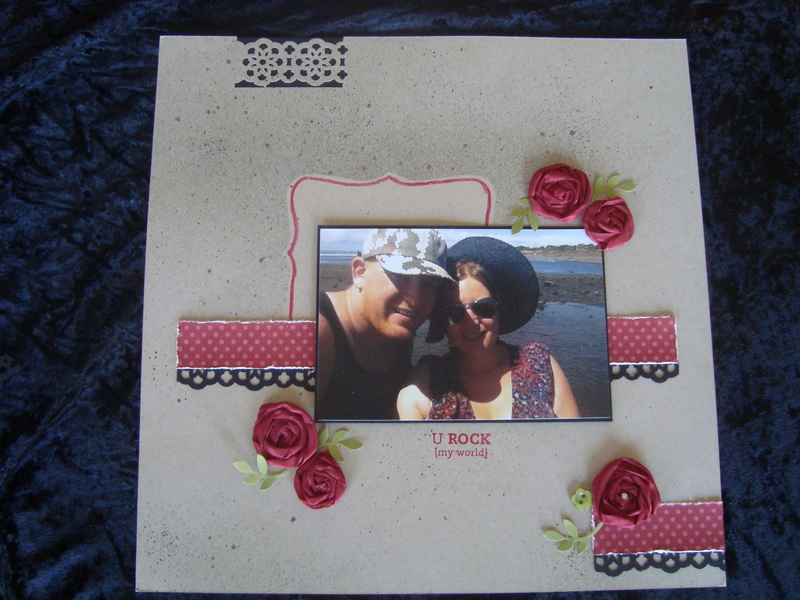 This is my layout that was published in the NZ Woman’s Weekly a few months ago. I was asked to do a LO with a sports theme, using one photo, in a way that could be easily reproduced. I chose to use a photo of my son Ethan who plays Basketball for New Plymouth Boys High School. The school colors are black , white and yellow. 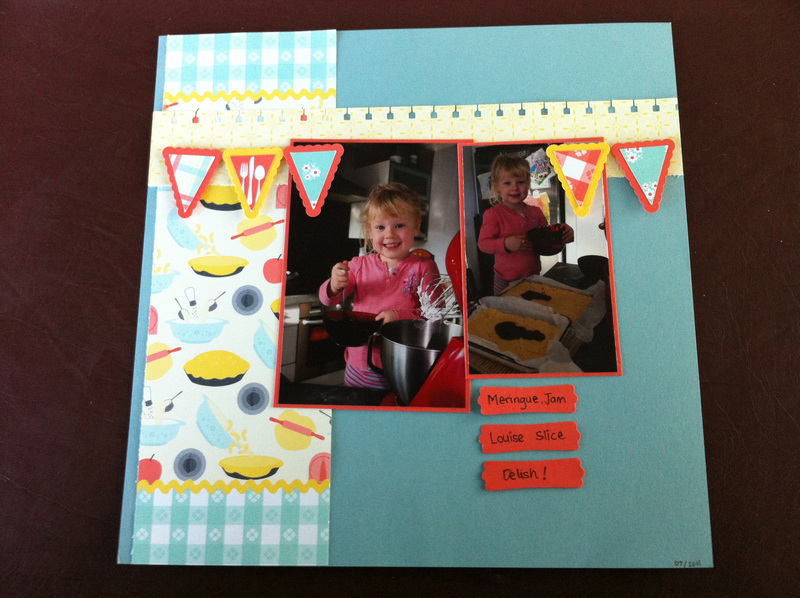 Big Day Out – Layout 2. Here is another of the layouts I presented in Henderson. I get alot of my inspiration from page maps and google images – but can’t remember where this one came from. Rolled ribbon roses are an absolute favourite at the moment and the new lace ribbon punch. I love Crumb Cake cardstock (Kraft) and find I must push myself not to use this all the time for my background. I was asked to present at the Stampin’ Up! Big Day Out in Henderson. I used the Domestic Goddess Designer Papers and the new Lace Ribbon Punch. This is one of the pages I presented. There are more and I will upload them soon. I did this layout back in March 2011. I was asked to present at the Stampin Up! Regionals in New Plymouth. This was one of the LO I showcased.